Five early stories unpublished since their first magazine appearances in the '20s and '30s, finally unearthed 21 years after Agatha Christie's death, already showing the deft touch of the Queen of Crime in the making. Like many of her contemporaries, Agatha Christie wrote stories for a variety of magazines in the 1920s and '30s, and most of these eventually found their way into her books of short stories. 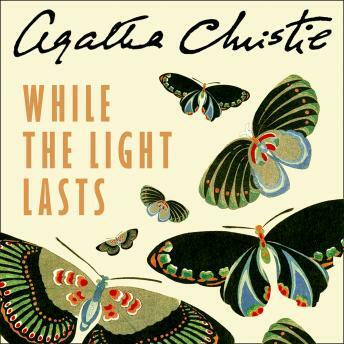 Now, 21 years after her death, detective work worthy of Agatha Christie herself has unearthed 'new' stories, most of which have never been published anywhere in the world since their orginal appearances.